With Safer Taxi, you download the app and then use it to order a taxi. The app finds your location, matches you with a registered driver, and notifies you that a taxi has been found. The notification includes the location of the taxi, its expected arrival time, the name of the driver, and the license plate number of the vehicle. There are no surprises. If a taxi pulls up and says he's with Safer Taxi, all you have to do is verify the information. Here in Sao Paulo, taxis are a godsend. Traffic can be so bad that a personal vehicle will get nowhere. Taxis, on the other hand, can drive in the omnibus lane when they have a fare, thus bypassing a bit of the traffic. Once you arrive at your destination, you pay the fare and forget the parking, and the fares are not outrageous, especially when you factor in what you’d pay to park in a secure lot. We have several motoristas (taxi drivers) whom we can call when we need a taxi from our place (they’re great guys who know us now and whom we trust), but it gets a bit dicier when we’re out and about and need a taxi at night. You don’t want to be walking down dark streets looking for a taxi stand (likely to be empty), and standing on the corner and waving at taxis as they drive by is a dead giveaway that you’re not from these parts. Stories abound about customers being robbed by taxi drivers in collusion with banditos. That’s the downside of using taxis in a mega-metropolis. 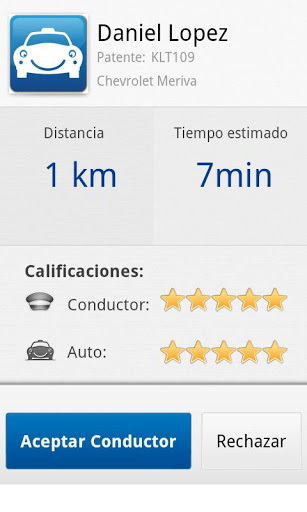 Thank goodness for Safer Taxi, a new app now available for free in Buenos Aires, Santiago, Rio, and Sao Paulo. With Safer Taxi, you download the app and then use it to order a taxi. The app finds your location, matches you with a registered Safer Taxi driver, and notifies you that a taxi has been found. The notification includes the location of the taxi, its expected arrival time at your location, the name of the driver, and the license plate number of the vehicle. There are no surprises. If a taxi pulls up and says he’s with Safer Taxi, all you have to do is verify the information. An added benefit is that all the taxis are wired for wi-fi, so they’re free wi-fi spots. You can contact friends, follow the route on your phone, etc. Plus, the ride history for the driver will allow Safer Taxi to contact you or you to contact the them if you’ve left something behind in the taxi. Finally, you get loyalty points for using Safer Taxi. The more you use it, the more miles you rack up, and the more free miles you earn. I’d call that a win-win. And it’s free. All you pay is the taxi fare. Plus, you can rate your taxi and driver at the end of the transaction. So far, we’ve only used this in Sao Paulo, but we’re pleased to have the option. Download it now. It works on both iPhones and Blackberries, as far as we know. It likely works on other smartphones, as well. If you need a taxi, it’s there. This sounds something useful for all major cities.